When the U.S. Food and Drug Administration proposed new guidelines for sugar intake last week, the suggestion seemed pretty reasonable: Americans should only get about 10 percent of their daily calories from added sugar. That adds up to about 50 grams, or 12.5 teaspoons of daily sugar on top of what’s naturally found in the foods we eat. Alarmingly, however, the average person may consume some 100 grams of total sugar daily, thanks in part to the continued popularity of portable and convenient “snack” foods that are usually packed with the stuff for flavoring purposes. Making matters difficult, food labels don’t differentiate between naturally occurring and added sugars. And that’s just yogurt, a healthful food that also offers benefits like protein and probiotics. A can of soda has a whopping 39 grams of sugar (order a large fountain soda and you’re doomed) and a standard orange chicken dish from a Chinese take-out restaurant is packed with around 88 grams. And who hasn’t dug a spoon into a jar of Nutella on a particularly stressful day? The FDA’s new guidelines are more realistic than the stringent recommendation offered by the World Health Organization, which suggests a five percent cap on all sugars save those from produce and milk. Diets high in added sugar can contribute to obesity, diabetes and heart disease, and going low sugar can lower blood pressure and reduce bad cholesterol levels and the risk of heart attack. One pumpkin muffin from Panera. 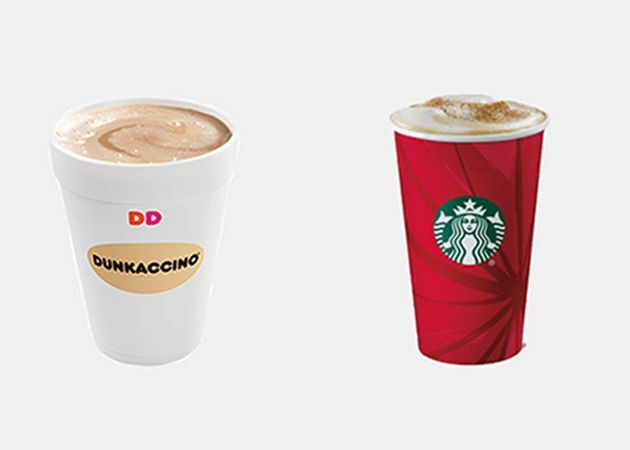 A large Dunkaccino from Dunkin’ Donuts or a grande eggnog latte from Starbucks. 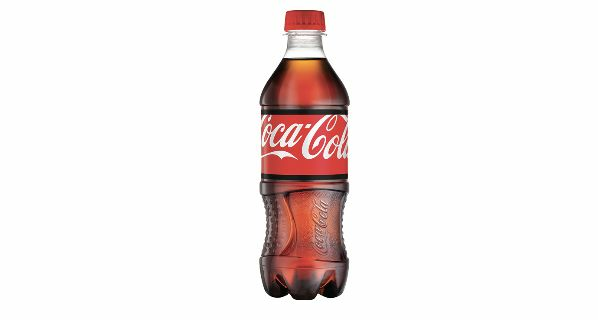 A 16-ounce bottle of Coca-Cola. Less than a half a cup of raisins, which is just a little more than one of those snack-size boxes. 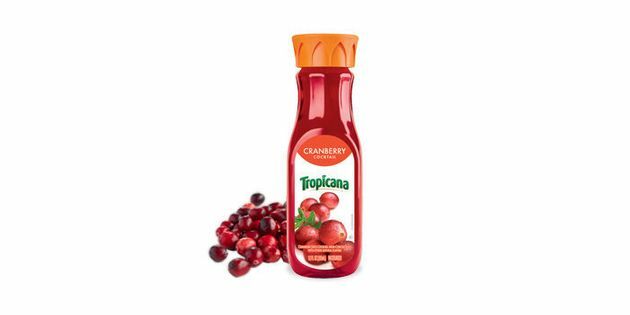 One 12-ounce bottle of Tropicana cranberry cocktail juice. 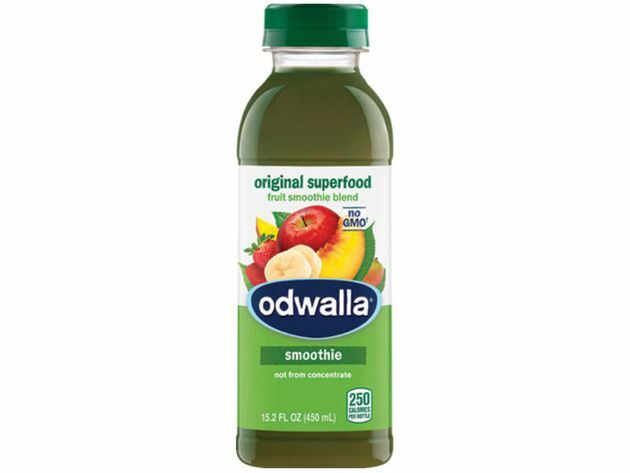 A 15.2-ounce bottle of Odwalla’s original superfood fruit smoothie blend. One medium order of Pinkberry’s original yogurt. The concept of added sugar is a complex one, especially because nutrition labels still don’t identify added sugar. The body needs sugar naturally found in carbohydrates, like apples and sweet potatoes, for energy. But added sugar used to sweeten foods isn’t as advantageous: It’s basically empty calories. Added sugar spikes insulin and blood sugar levels and is used up quickly by the body. In some cases, added sugar signals to the brain that the body wants to eat more, and it often leads to even more sugar cravings. This is the sugar that can put a person’s health at risk. Being mindful of total sugar is a good place to start — and harder than it seems. Sugar sneaks into a lot of foods and beverages, and cutting back can be difficult. Note: The food and beverage calculations above are based on each product’s total sugar content (natural and added), because, just like any consumer, we’re not able to tell the difference from nutrition information provided.